Few trips have stuck with me for a lifetime more than this experience. This is truly a special event for those who are willing to get a little dirty and sleep out under the stars. 28 people have already booked this trip! 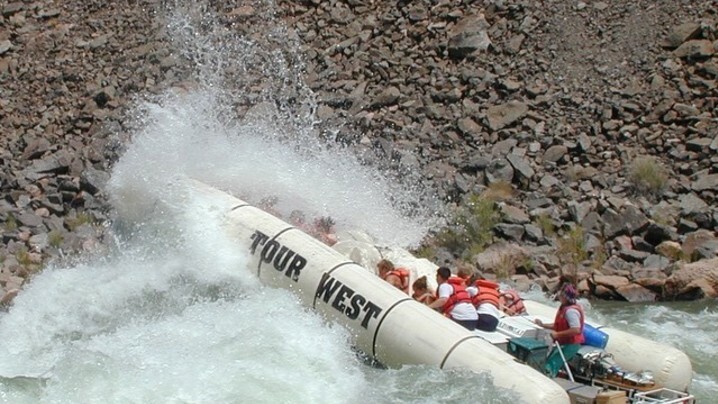 Run world-famous rapids and explore the bottom of the Grand Canyon. 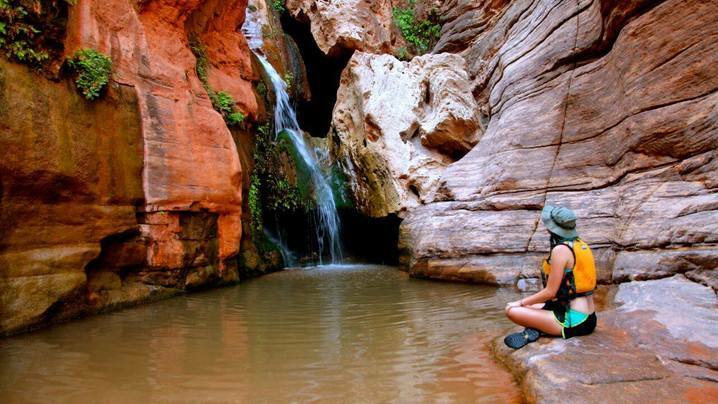 Hike to Elves Chasm, Deer Creek and explore Havasu Falls. Camp on cots under the stars and enjoy this once in a lifetime experience with friends, new and old. 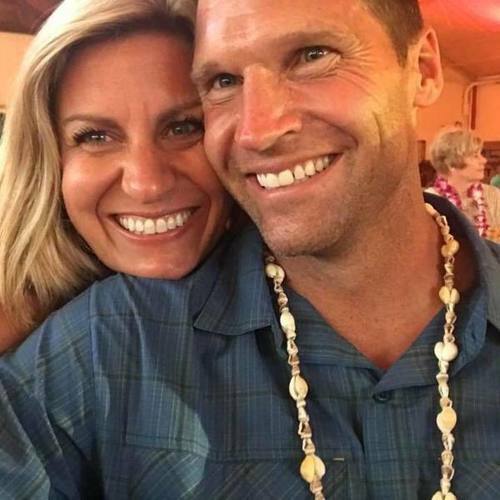 Due to the strenuous nature of this adventure we won't be holding any fitness classes in the form of exercise but we will offer stretching after long days of rafting, meditation, and talks along the way. Round-trip transportation to and from Las Vegas McCarran International Airport (LAS) is included on the first and last day of the trip. It takes more than 4 hours to get to the venue from the airport. Not included: flights to/from Las Vegas McCarran International Airport (LAS) and travel insurance. Guests are responsible for purchasing travel medical insurance and cancellation insurance which are also not included. All meals on the river are included starting with lunch the second day and ending with breakfast the last morning. Guests are responsible for all other meals. A sleeping bag, sleeping pad, waterproof duffel bag, personal floatation device, small waterproof day bag, tent and a cot will be provided to you. Have enough agility to climb on and off the rafts—this could be as much as a 2-3 foot reach sometimes on wet or slippery conditions. Fit into a Class V PFD (max 58” chest) as required by the National Park Service. Have the ability to navigate some uneven terrain on hikes and in camp. You may be charged a gas surcharge fee ($3-$30) and is not included in your trip price. We never know for sure when it will rain, so even if you are taking a mid-summer trip be sure to bring a two piece rain suit! 1. You must limit your gear to 25 pounds (this is required by the flight & helicopter company). 2. Your bag should be a soft side duffle bag that is approximately 12”x13”x24” in order to fit in our 16”x33” dry bag we provide you. Our sleeping bag will also fit into this bigger dry bag with your duffel during the rafting trip. Sturdy water sandals or multi-sport shoe that can get wet with good tread and support for hikes (Keen, Tevas, or Chacos are examples). It is wise to consider a back-up pair of sandals or shoes in case of damage. 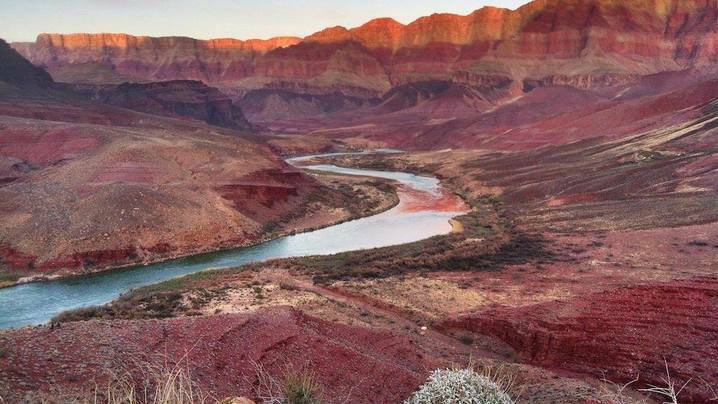 Arrive in Las Vegas (LAS) and travel to Marble Canyon, AZ. Meet the group & guide for an orientation meeting. You are on own for dinner this night and breakfast the next morning. There is a small restaurant located at Marble Canyon. 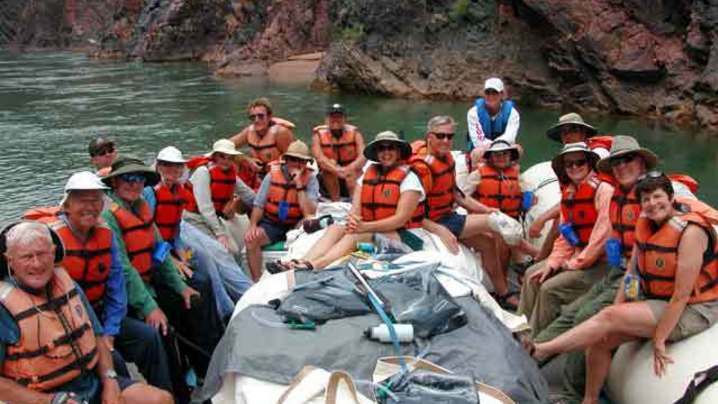 A van will pick up the group in the morning and transport you to Lee’s Ferry where you will meet your guides and launch on your river trip. You will be given a boat and safety orientation by your guides. 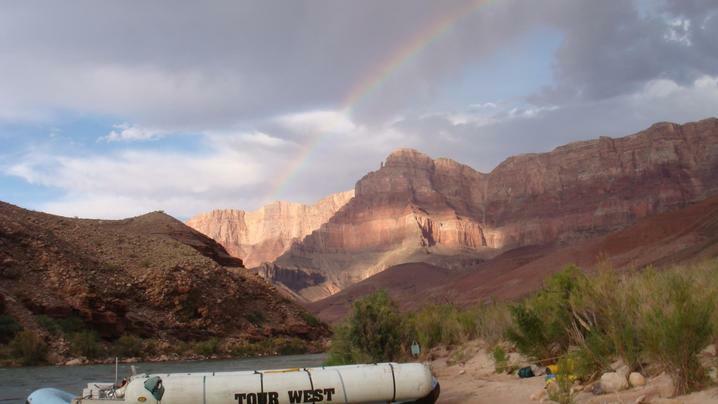 During your adventure through the Grand Canyon you will run exciting rapids such as Hance, Granite, Hermit & Crystal, explore unique side canyons such as Elves Chasm, Deer Creek and Havasu Falls. You will camp on cots under the stars along the beaches of the river. 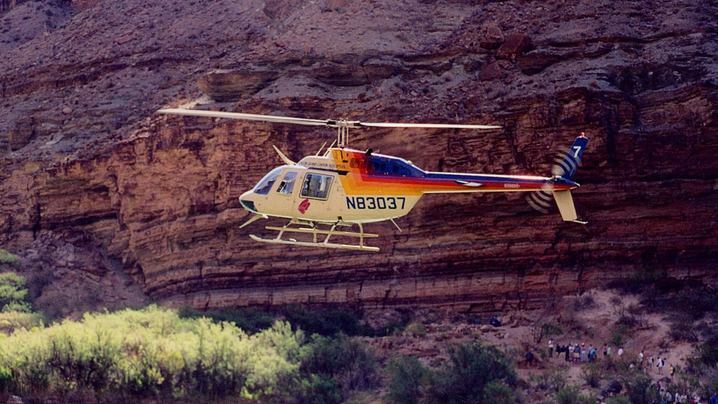 At Whitmore Wash, you will enjoy a scenic helicopter ride (approx. 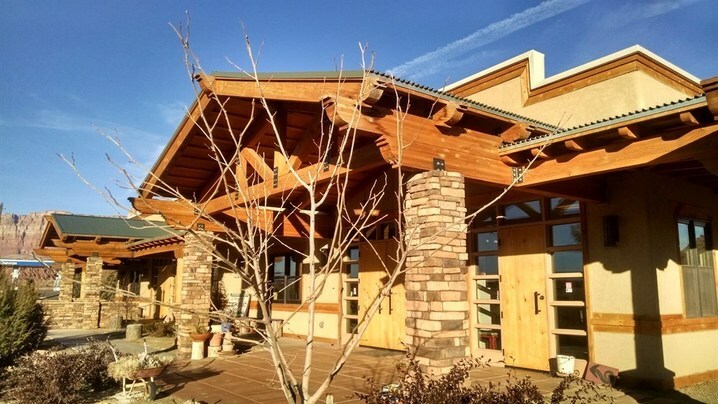 10 minutes) up and over the canyon rim and arrive at a ranch where you will have time for a quick shower before getting on your plane which will return you to Las Vegas. If you will be departing from LAS on Day 7, please plan to depart AFTER 3pm on August 17, 2019. You will not be able to catch a flight that departs before 3:00PM. Beginning at Lee’s Ferry and ending at Whitmore Wash on a motorized raft, you will run exciting rapids like Houserock, Hance, Sockdolager, Hermit, Granite Falls, Crystal, and Lava Falls, and see beautiful side canyons and swimming holes including Little Colorado, Elves Chasm, Deer Creek and Havasu Creek. At night you will relax on a cot under a vast canopy of stars as the fresh air and rhythm of the river lull you to sleep. 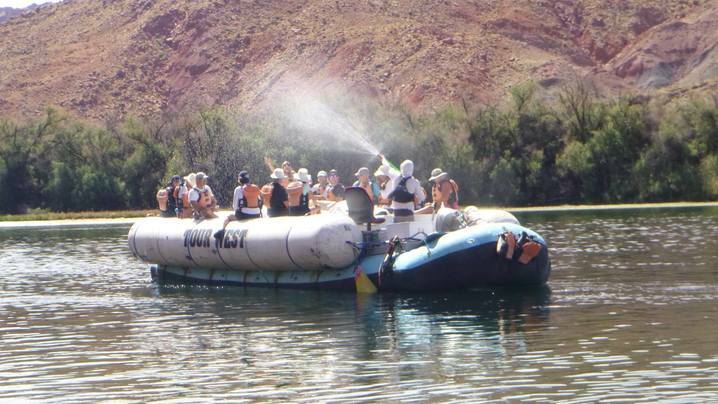 The trip includes one night's accommodation in Marble Canyon prior to launching on the river. Reserve your spot with a $395 deposit! Each package includes a shared space on the trip with all guests in cots at campsite locations under a vast canopy of stars along the riverbed. The first night's lodging will be at a hotel in Marble Canyon.